According to Cambridge Dictionaries Online, ethnicity is defined as “a large group of people who have the same national, racial, or cultural origins, or the state of belonging to such a group” (Cambridge). Furthermore the given perimeters of the word minority is simply put as “less than half of a total number or amount; the smaller part of something” (Cambridge). Thus one can postulate that an ethnic minority is indeed a group with similar origins and that of similar cultural and social constructs. However a minority is indeed significantly smaller in population to that of their surrounding context or residing state population. Thailand has numerous ethnicity groups, “Thailand has always been an ethnically diverse place” (Jory 2002). Some of the diverse minorities are the Han Chinese, the Highland Ethnic Groups, the Malay, and the Mon-Khmer. The CIA World Factbook estimates the population of Thailand to be 67,741,401 in July 2014, putting Thailand as number 21 in comparison to other country’s populations, for perspective China ranks number 1 (CIA 2014). Specifically the figure 67,741,401 gives a relative figure to contrast the population of the minorities residing within Thailand against. Firstly Thailand in general has been thought of as quite homogeneous in regards to ethnicity in Southeast Asia (Jory 2002). The government of Thailand generally and broadly creates ethnic distinction based on regional features, i.e. central, northern eastern and southern Thailand, not on the truly existent linguistic and cultural diversity; this intentionally homogeneously conveyed ideology erroneously represents existing ethnic diversities. Many individuals belonging to various ethnic tribes throughout Thailand don’t even technically even have Thai citizenship. The Han Chinese ethnicity group has an estimated population of 6-7.2 million, speaking languages such as Thai, Teochew, Hakka, Hainanese, and Mandarin, with religious practices such as Theravada Buddhism, Mahayana Buddhism and Taoism (Minority Rights). 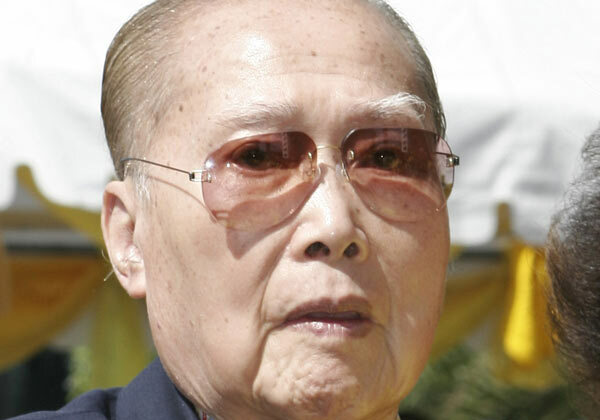 Generally speaking, the Han Chinese ethnicity group mainly resides in urban areas in Thailand. The specifically interesting facet about this minority is the fact that they are considered to be in a more advantageous economic position over the general population of Thailand. “…they may control more than 80 per cent[sic] of Thai business interests” (Minority Rights). That being said this minority for the most part is not excluded or particularly negatively stereotyped due to their inherent economic advantage. This advantage may be present partially due to the integral nature of their language, specifically being used as a standard for business communication and commerce. Vichai Maleenont (Xu Han Kwong) identifies with the Han Chinese ethnic group, and owns BEC World, Maleenont’s net worth is US$2.0 Billion (Mevotek, 2009). The Akha, Karen, Lahu, Lisu, Meo/Hmong and Mien are considered as the highland ethnic groups, mainly residing in mountainous areas of Thailand. According to the World Directory of Minorities and Indigenous Peoples there are as many as 20 different hill tribes, with an estimated total of 1 million people according to some estimates (Minority Rights). All of these tribes are linguistically and culturally distinct from both each other and the generalized homogenous Thai ethnicity. A good majority of these tribes practice animism as their religion, however some do practice Christianity as well as Buddhism. Many of these highland ethnic group minorities have been around longer than other surrounding populations, living in parts of northern Thailand for centuries (Minority Rights). A majority of these highland minorities were previously in conflict with the Han Chinese in the past, specifically in regards to expanding conquest from what is known today as China, pushed into more southern parts of Asia. The highland minorities are some of the poorest minorities with low education and often fall prey to human trafficking. The ethnic Malays mostly practice Islam, they also consist of about 5 percent of Thailand’s estimated population in 2007 (Minority Rights). The vast amounts of ethnic Malays reside in the southern areas of Thailand, and ultimately make up a large portion of the residing population therein. The regions that they do reside in are also some of the poorest geographical regions in Thailand. Especially considering that although they are a minority, the majority of them do indeed make up the main population in regions such as Pattani. Furthermore there is much conflict between that of the Malays, Thai government and Buddhists. Killings of Buddhists and government officials continue, as well as attacks and killings of Malay Muslims, including school children in 2007, blamed by some on Thai reprisals and by others on militant Muslim agents provocateurs (Minority Rights). The Malay Muslims mainly petition for further independence and rights regarding their spoken and written vernacular. They believe themselves to be oppressed by the majority and continue to fight for freedom. “Separatist groups have killed 2,463 people in bomb attacks, shootings, assassinations, ambushes and machete hackings since January 2004 (89% of victims were Buddhist Thai and ethnic Malay Muslim civilians)” (Minority Rights). The Mon ethnic minority lives up in the northern area of Thailand, specifically near the border shared with Burma, whereas the Khmer reside more in the eastern area near the Cambodian border. “Together they are estimated to number around 1.2 million” (Minority Rights). Their main verbal and written vernacular is that of Austro-Asiatic languages, however most of them do speak Thai in addition. Furthermore the predominant religion practiced by the Mon and Khmer minorities is Buddhism. Both the Mon and Khmer minorities are considered to be quite dispersed and partially assimilated into general Thai culture and vernacular. Luckily the Mon and Khmer do not experience a great deal of exclusion or discrimination, most of which are successful farmers growing crops of rice or even running small businesses. One can conclude that Thailand is indeed a unique ethnically diverse place, which includes many peoples with distinct varying cultural practices, religious views and vernacular. It is fascinating to see how each minority has such a distinct difference from one to the next. It is also quite unfortunate that many of these tribes are ‘lost,’ and do not have Thai citizenship. All of this introductory material so to speak barely scrapes the surface on the intricate anthropological opportunities presented by such cultures and minorities. Yet in Southern Asia, Thailand is often thought of as homogeneous from a holistic ethnic perspective; however this is evidently not the case! Central Intelligence Agency. Central Intelligence Agency, n.d. Web. 29 Apr. 2014. <https://www.cia.gov/library/publications/the-world-factbook/geos/th.html&gt;. “English definition of “ethnicity”.” Cambridge Dictionaries. Cambridge University Press, n.d. Web. 29 Apr. 2014. <http://dictionary.cambridge.org/us/dictionary/american-english/ethnicity?q=ethnicity&gt;. “English definition of “minority”.” minority noun (SMALLER AMOUNT). N.p., n.d. Web. 29 Apr. 2014. <http://dictionary.cambridge.org/us/dictionary/american-english/minority_1?q=minority&gt;. Kevin, Morris. N.d. Photograph. Joshua ProjectWeb. 29 Apr 2014. <http://joshuaproject.net/people_groups/12662/TH >. Malayan Boy. 2009. Photograph. Asia NewsWeb. 29 Apr 2014. <http://www.asianews.it/index.php?l=en&art=15799&size=A&gt;. 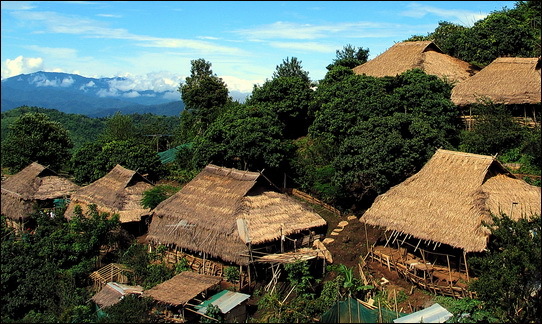 Typical Akha village near Mae Salong. 2011. Photograph. TravelFish.orgWeb. 29 Apr 2014. <http://www.travelfish.org/blogs/thailand/2011/06/07/north-thailands-ethnic-minorities-the-akha/&gt;. Vichai Maleenont. 2011. Photograph. http://www.forbes.com/lists/2011/85/thailand-billionaires-11_Vichai-Maleenont_VWUY.htmlWeb. 29 Apr 2014. <http://www.forbes.com/lists/2011/85/thailand-billionaires-11_Vichai-Maleenont_VWUY.html&gt;. Jory, Patrick. “Multiculturalism in Thailand? Cultural and Regional Resurgence in a Diverse Kingdom.” Harvard Asia Pacific Review. N.p., 1 Jan. 2002. Web. 29 Apr. 2014. <http://www.hcs.harvard.edu/~hapr/winter00_millenium/Thailand.html&gt;. “World Directory of Minorities and Indigenous Peoples.” Minority Rights Group International : Thailand : Chinese. N.p., n.d. Web. 29 Apr. 2014. <http://www.minorityrights.org/5599/thailand/chinese.html&gt;.